We used to run, walk, jump, crawl and climb as a natural activity. In the past it was how we got most things done, but modern life has changed much of our time in front of a screen and made us static. Obstacle courses take us back to our roots with natural movement for increased health and happiness. 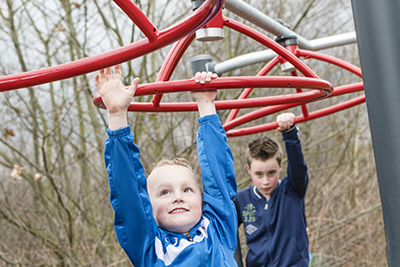 The new modern obstacle course is designed to have fun for people of all ages and abilities. It challenges and develops both mental and physical strength. Scalable difficulty levels make it work for young and old and strong and unfit. One course, one objective, many routes to get there. The fun element is the motivation that gets people starting over and over again. Outside of pure sport, playful exercise is rare, but obstacle courses create that element. Do it together, do it with your kids and teach them that an active lifestyle is a fun lifestyle. In fact, once you introduce them to the courses, the onus will be on you to keep up! The structured obstacle course as we know it today was first made by Georges Hébert, who was a physical educator in the French military. He developed his own system of physical education called "The Natural Method" in 1912. Besides leading to structured obstacle courses used for military training, the principles in this system are the foundation of many of today’s popular fitness activities such as parkour, street workout, calisthenics and CrossFitTM. New fitness activities use the same principles, but obstacle courses are still popular - more than ever actually. Millions of viewers follow weekly TV shows such as Sasuke and American Ninja Warrior, and extreme obstacle and mud events attract more and more runners around the world. In these events, there is room for everyone, and lately family-oriented races have gained popularity. For the elite level, Obstacle Course Racing (OCR) is now even considered to become an Olympic sport. 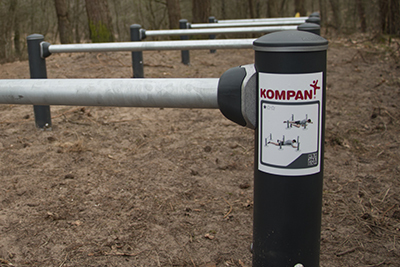 The KOMPAN Obstacle Course is inspired by the history and present popularity. 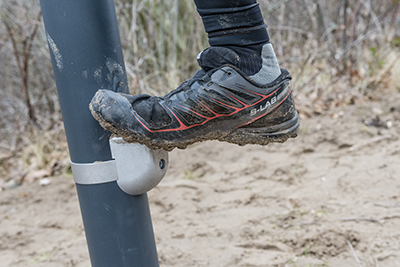 To find the most thrillingly exciting solution yet safe enough to even be installed in an unsupervised public space, we put together a team of fitness and play experts combined with a partnership with the award-winning professional obstacle event organiser, Strong Viking. Strong Viking gave input during product development, and the equipment is featured at Strong Viking's Family Run in Germany, Netherlands and Denmark. High structures for upper body exercises are easy accessible for users of all heights. Access pods make it easy to get up and reach the exercise structure. Obstacles are designed with multiple difficulty levels to fit people of all ages and abilities. Each obstacle has both an easy and hard exercise, so anyone can be challenged. The galvanized and powder coated steel construction requires no maintenance and goes under KOMPAN lifetime warranty. The solid structure has made it possible to create new dynamic and challenging obstacles and still maintain a high level of safety.